The owners of TriCycle & Run Jason and Laura Chance are both natives of the St. Michaels area. After leaving the area in 2001 to pursue careers in the Salisbury area, both are excited to come back to their hometown and raise a family. Jason is an active triathlete and has competed in events all over the country, raising money for charities such as Team in Training, to benefit the Leukemia and Lymphoma Society, and the Paralyzed Veterans of America. Jason hopes to bring his love of multi-sport to the area and host various events to showcase the beautiful Bay Hundred area. Laura enjoys bicycle riding as well as has completed the Seagull Century, a 100 mile bicycle ride from Salisbury to the beach and back. 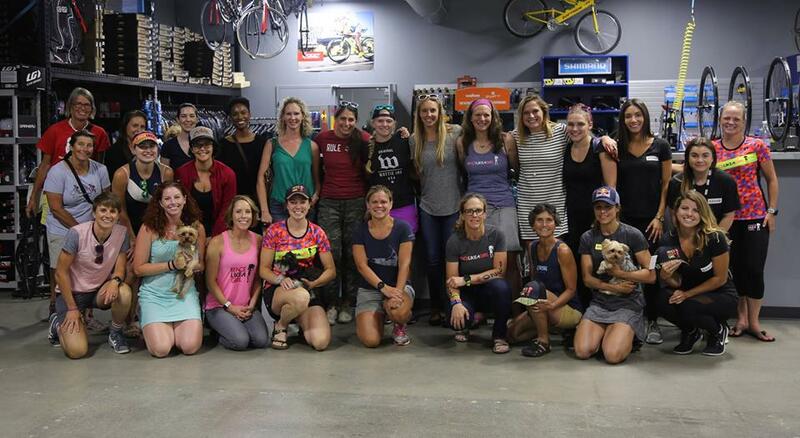 Laura plans on bringing in women-specific events to the shop and encourages women riders to stop in and introduce yourself. Jason and Laura reside in St Michaels with their family. Stop by and say hello to all! By the way, Jason has recently been certified as a USA Triathlon Level 1 Coach! It's quite an accomplishment, AND it also means he is available to help you become the best competitor possible. Feel free to stop by the shop or send him an email to learn more. We offer bicycle rentals, in house bicycle repairs, (including bike tire repairs/replacements), new bicycles for both children and adults, triathlon training clothing and accessories, running shoes, swim suits, goggles, swim training accessories, specialized bike fitting, running gait analysis, and cycling analysis to help you get the most out of your training. Have a question, just give us a call! TriCycle and Run, located on Talbot Street in historic St. Michaels, Maryland! We are your source for recreational and competitive swimming, cycling and running equipment, clothing and accessories. Be sure to check us out on Facebook and if you're an Android or Google Calendar user, add "tricycleandrun@gmail.com" to your calendars to check out our weekly training groups and also to see a list of the many marathons around the area. WHAT A GREAT TURNOUT THIS MORNING! Thank you for your continued support in our efforts to give back to the community through our FREE 5K Fun Run Series! Today marked our 48th event, and we had a great time! Congratulations to our ‘winners’ this morning, Rebecca Fox and Andrea Smith, who both guessed their finish time within 10 seconds!